Honor Play was among the earliest smartphones to get a dedicated performance booster mode to improve gaming and overall performance. GPU Turbo, as the mode is called, promises the best performance output at an optimal battery consumption. With the help of neural networks, GPU Turbo aims to achieve consistently high framerates without exhausting the battery on Huawei and Honor devices, to ensure that you don’t have to break the flow of gaming and charge the phone. 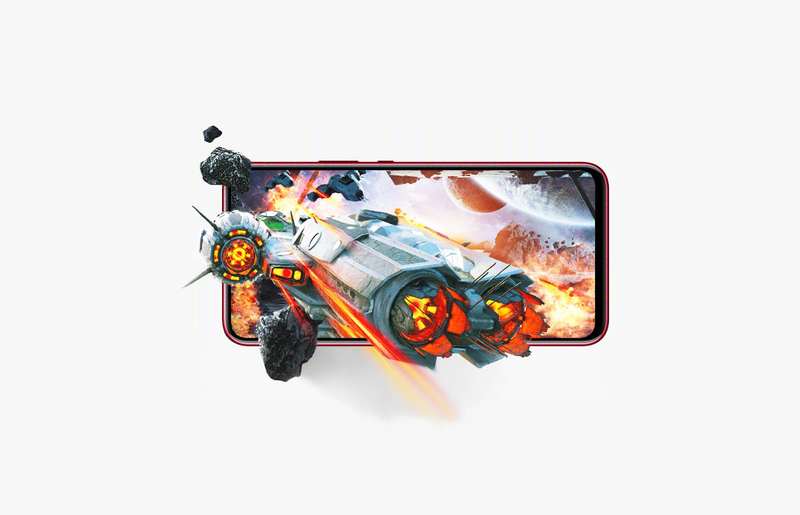 With EMUI 9.1, Huawei introduced the third generation of Game Turbo to offer similar gaming performance but with 10% lesser battery consumption. 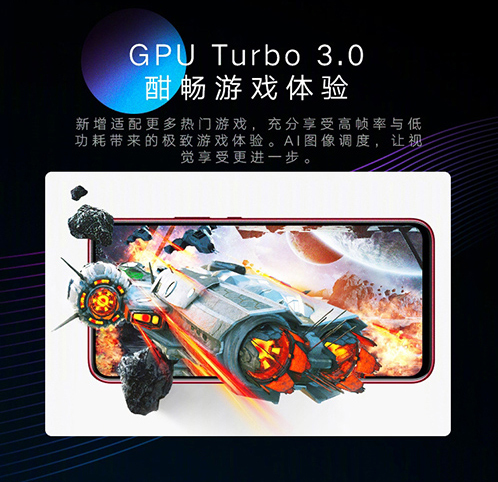 Although Huawei P30 and P30 Pro are the only smartphones to get Game Turbo 3.0, the feature will soon be rolling out to Honor View20 and Honor Magic 2 with the Magic UI 2.1 update. It is hard to tell Huawei’s Magic UI from EMUI with both Android skins looking and working nearly the same. The only minor differences – apart from the numbering – are the extra features like real-time translations during calls and the smart assistant, YoYo, on Magic UI 2.1. So, basically, the update brings a lot of exciting software features from the Huawei P30 series to Honor Magic 2 as well as the Honor View20. One of these exciting features is the GPU Turbo 3.0 which not only improves the state of power consumption while gaming but also increases the number of supported titles from 6 to 25. Fortnite, Real Racing 3, Into the Dead 2, PES2019, and Subway Surfers are some of the many new games added to this list. Besides Game Turbo 3.0, the update adds the feature to wake smart assistant YoYo by holding the power button down for a second and improves its ability to respond to multiple questions or complex queries. The new AI Video option uses AI to offer smoother transitions between scenes while watching movies or any other videos and the smart SIM card switching feature automatically switches data to the SIM card with a more reliable connection. Magic UI 2.1 update also brings HiVision and AR measurement tools to Honor View20 and the Honor Magic 2. Additionally, just like the Huawei P30 Pro, the two Honor phones can now be used as smart keys with certain Audi cars and be used to sync exercise data between Huawei Health app and smart treadmills. Honor announced that it will start pushing updates to individual applications by the end of April and start rolling the update out by May. 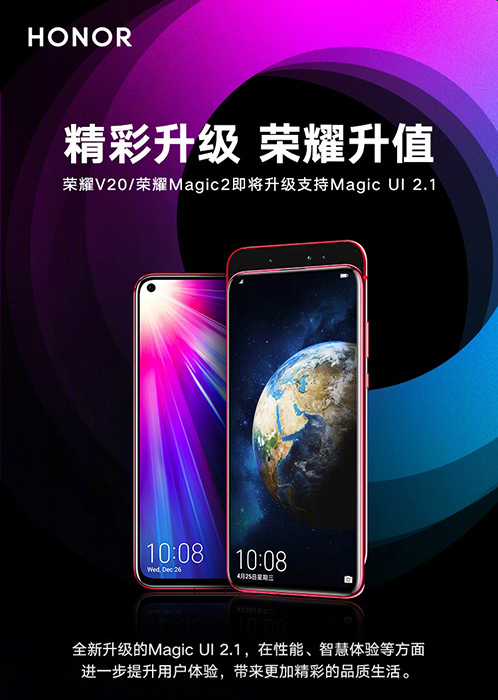 The schedule, however, applies to the Chinese variants of the Honor View20 and the Honor Magic 2 and we’re yet to know about the roll-out to global units.